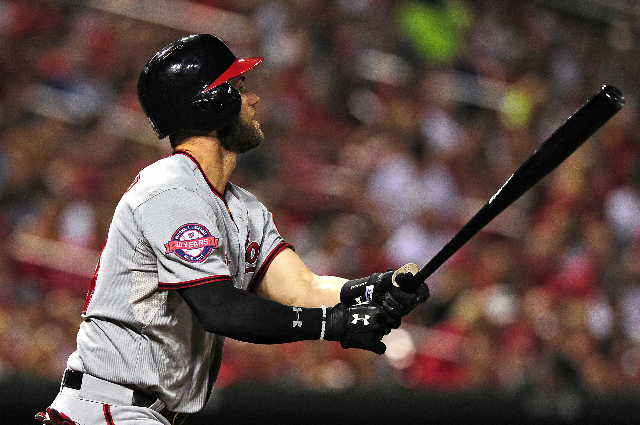 Bryce Harper compiled a historic night for the Washington Nationals on Thursday without ever swinging the bat. 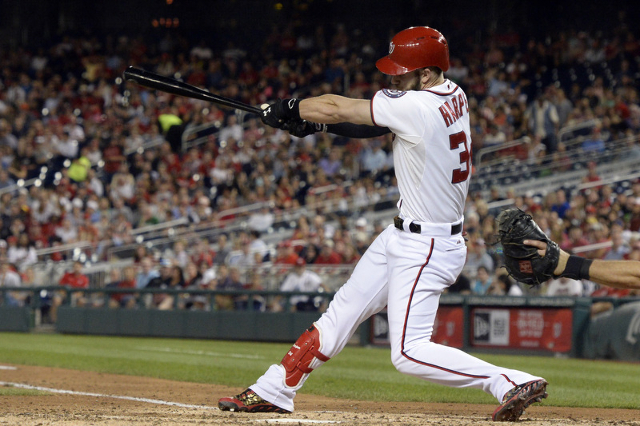 The Las Vegan became the first player in modern Major League Baseball history to draw at least four walks, score four runs and drive in a run without a hit or an official at-bat as he went 0-for-0 with four runs, four walks and one RBI in Washington’s 15-1 win over the Atlanta Braves. 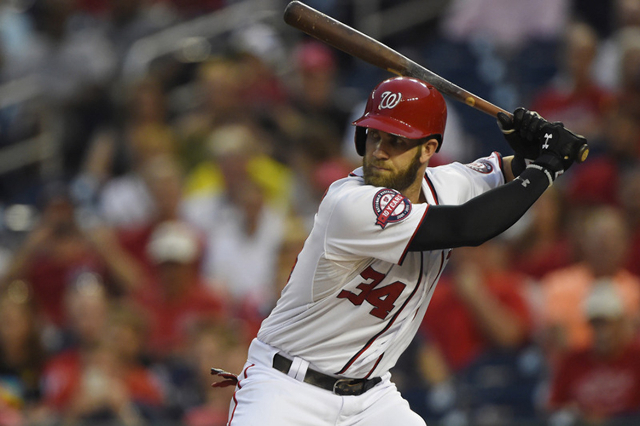 Harper saw 20 pitches from three pitchers in his four at-bats and didn’t swing at any of them. According to ESPN Stats & Info, it was the second-most pitches without a swing in a game in the past 10 seasons (Juan Uribe, 21, 2010). 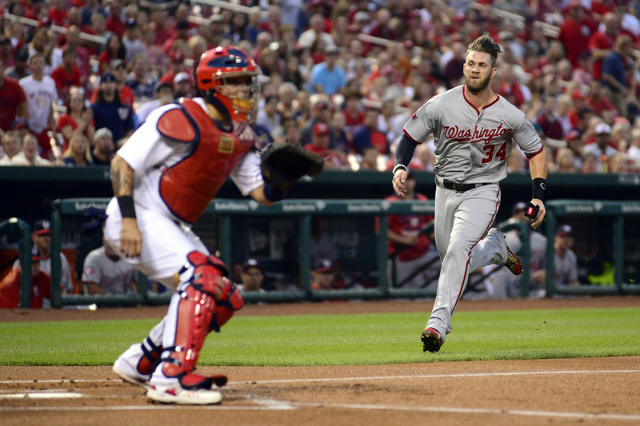 Harper, one of the leading National League Most Valuable Player candidates, joins Rickey Henderson, Joe Morgan and Larry Doby as the only players to go 0-for-0 with at least four runs and four walks. 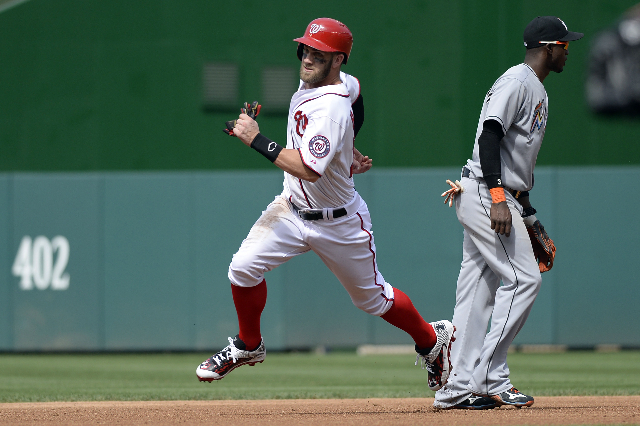 Harper also compiled a four-walk, four-run game Aug. 18 against the Colorado Rockies. 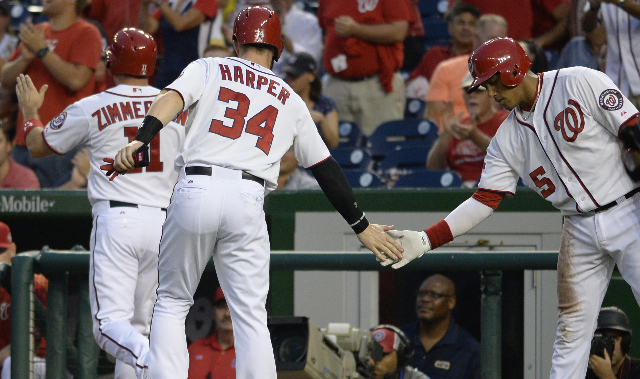 The feat has only been accomplished 52 times and Harper is the first player since 1914 to score at least four runs in a game without a hit twice in one season. 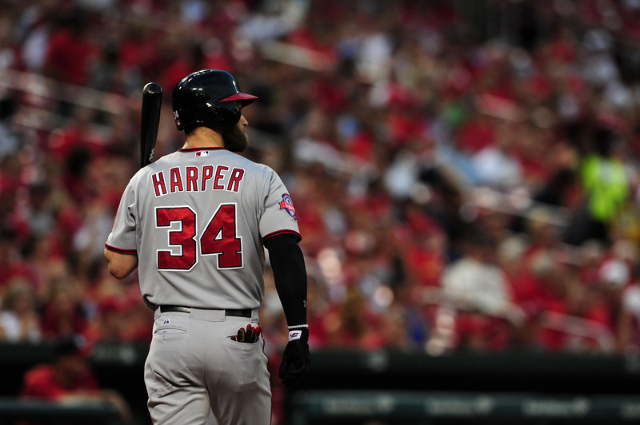 Check out Harper’s highlights from the game above.